Colorado is a state that authorizes those individuals or entities who privately own bodies of water to acquire commercial fishing licenses for commercial purposes. It is at the discretion of these commercial license holders to charge other licensed fishermen to use their sources of water for fishing. Additionally, you may also apply for a commercial license at a CO Parks and Wildlife office to use at state-approved lakes and rivers. Continue reading to learn more about the specifics of getting this type of license. In the state of Colorado, interested applicants have two options when applying for a commercial fishing license: You can get a commercial license to fish through the CO Parks and Wildlife office, or you can get authorization from those residents or companies who own a body of water. Only those who own these private bodies of water are allowed to charge licensed anglers to fish commercially. If you are a licensed angler who would like to buy a resident commercial fishing license, you can do so by visiting a local Colorado Parks and Wildlife office with the proper documentation (proof of residency, proof of Social Security Number and a photo ID) and payment for fees. To purchase a commercial fishing license in Colorado, you must either own a specific body of water that you intend to use for commercial purposes, or you must fill out an application through the state’s Parks and Wildlife office. Keep in mind that license holders are allowed to charge licensed fishermen to use their water source for commercial fishing. 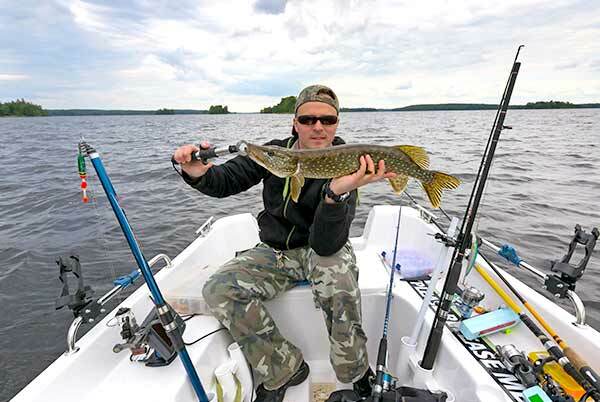 When applying for a nonresident fishing license, you must be ready to show proof of identity, along with any standard payment for fishing fees. A number of different fishing licenses are offered in Colorado, ranging from one-day licensing to annual licensing to lifetime licensing. Once your license to fish has expired, you will be required to obtain another license in order to continue legally fishing in the state. Take note that if you are a CO commercial fisherman, you must submit an annual report to Wildlife and Parks within 30 days of your license expiring. A commercial fishing license can only be replaced at a Colorado Parks and Wildlife location. To request a commercial license to fish replacement, you must fill out the proper affidavit and show proof of ID, along with your Social Security Number. You may also be required to have payment on hand for commercial fishing license replacement fees. As previously stated, private entities who own a body of water in Colorado are allowed to buy commercial fishing permits, as are those who apply directly at a CO Parks and Wildlife location. Landowners who do have commercial fishing licenses can charge licensed anglers to use their private waters as well. In addition, military members and veterans are often provided a discount on licensure, as long as they have proof of active-duty military orders or their completed time of service. Family members of those in the military are also allowed to apply for a standard permit to fish at the resident rate. If you are a senior who is 64 years of age or older, you can apply for a senior fishing license in the state of CO for a very low fee. Take note that in order to fish in select bodies of water operated by commercial license holders, you must have the proper payment with you, as well as authorization from the company’s owner. For bodies of water that are not privately owned, you may apply for a commercial fishing license at a Colorado Parks and Wildlife branch near you. If you are a senior citizen with low income, you may also receive a lifetime fishing license free of charge. Lifetime fishing licenses are only available to certain individuals in the state, either those who are military veterans with a disability and are older than 64, or those who are handicap. With that said, commercial fishing licenses are not available for a lifetime period. Only eligible residents can apply for this type of permanent license.